Sunday was a beautiful day, all about dear and talented friends celebrating that dearness and talent all day long. 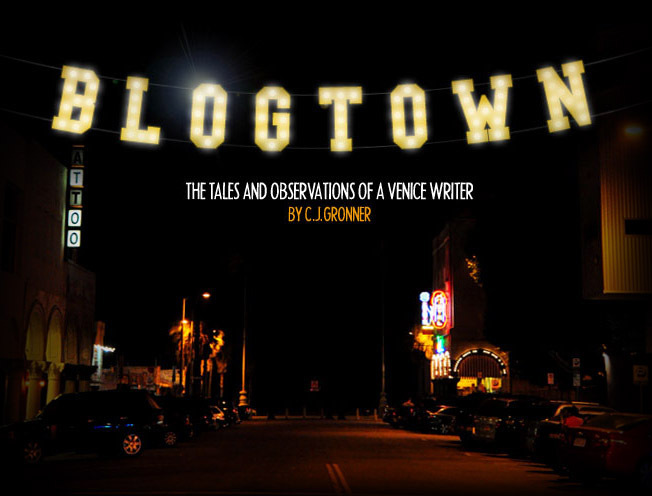 It was also Abbot Kinney's 164th birthday, and what way to honor the founder of our wonderful town than by dreaming dreams and making them come true. 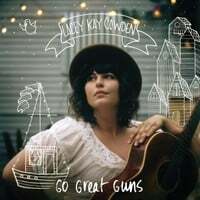 The occasion was the release of Lacey Kay Cowden's spectacular new ep, Go Great Guns, and that we did for sure, in a beautiful garden party at Big Red Sun. The party got started at 3 pm with a DJ set by Paddy Wilkins (aka Bright Moments) under the bright sunshine, as we sipped on lemon lavender cocktails in the garden. Scott Passaglia opened the live music portion of the say, as more and more friends arrived to fete Cowden and her new music. Even little Boots was present to party with her owner, all decked out in her Sergeant Pepper jacket. The place got increasingly packed with more pals, all loving both the chance to catch up all evening and to hear our friends rule. Which Paul Chesne and his band certainly did - and always do. It's just always a total blast getting down to their tunes, and Sunday was no different. Matt Ellis (who also produced Cowden's ep) was up next and played some selections from his new album, The Greatest Escape (I actually have no set list notes as my hands were full with going nuts with my friends, but it was all great, trust). At some point around here, trays were passed with a treat from Cowden's boyfriend, Chef Brian Dunsmoor, who had whipped up some delicious chili and served it up right inside individual bags of Fritos. It was the perfect party food, convenient and all set to soak up the drinks that had been going down easily for everyone all afternoon. YUM. The sun began to set and it was fully dark by the time Cowden took the stage, with the whole garden illuminated with festive lights, as cozy as could be. Cowden's voice is so strong and beautiful, people were completely silent as they sat and stood to hear her gorgeous new songs from the ep. She had a band backing her up for this gig, and it really complimented her songs, as the drumming by Griffen Harris really made her "Walking Song" sound like we were all ambling along together, and the electric guitar by Nick Luca really fleshed out the sound of Cowden's own acoustic. It was touching to see Cowden sing "Southern Boy" to her "Sugarnipples" Dunsmoor, and the support they both display for each others' artistic and culinary endeavors. "Shotgun Loving" was the first song I ever heard Cowden play, sipping whiskey around the fire one late night, when she truly mesmerized us all. It was much the same Sunday night, when as rowdy as it was all getting, everyone zipped it every time Cowden opened her mouth to sing. As Cowden took her bows and gave her thanks, the party carried on into the evening ... until just about now, really. Massive congratulations to my dear friend, Lacey, on both an ep and a launch that will be talked about for a long time to come. It was a truly inspiring event in every way. The place was filled to the wooden rafters with people that live, breathe and walk the walk of their creativity. I think Abbot Kinney would have loved it (as he probably loved the drink sip he got poured for him on the ground). And we'd all do well to heed Cowden's advice, and Go Great Guns after whatever it is that you love. Go Great Guns is available now everywhere. Get yours!